The Ben Arkle II arrived home into Peterhead on Tuesday after her second successful trip since handover. Skipper Mark Addison is delighted with the performance of the vessel and the electronic package supplied by Echomaster Marine. Our Sales Manager Andrew Masson worked closely with owner and Skipper Mark Addison to provide a comprehensive wheelhouse package for the Ben Arkle II. The front console is fitted with eight 23 inch flush mounted Neovo screens on which Mark can choose what he wishes to view thanks to the video matrix switches installed. GPS is provided via the Koden KGP913 and a Furuno GP33 Navigators. Also installed is a Simrad RG50 Gyro Compass and Furuno SC30 Satellite Compass. Position data is interfaced to the three Navigation plotter, Olex 3D Seabed Mapping System complete with Ground Discrimination and WASSP Interface, The Sodea and Transas Fishmaster. The Ben Arkle II also has installed the Simrad Argus Radar system, along with a back-up in the form of the Simrad NSO & 4kW HD Radome. This coupled with the Jotro UAIs TR8000 Class A AIS provide AIS tracking within the radars and AIS and ARPA on the plotters. 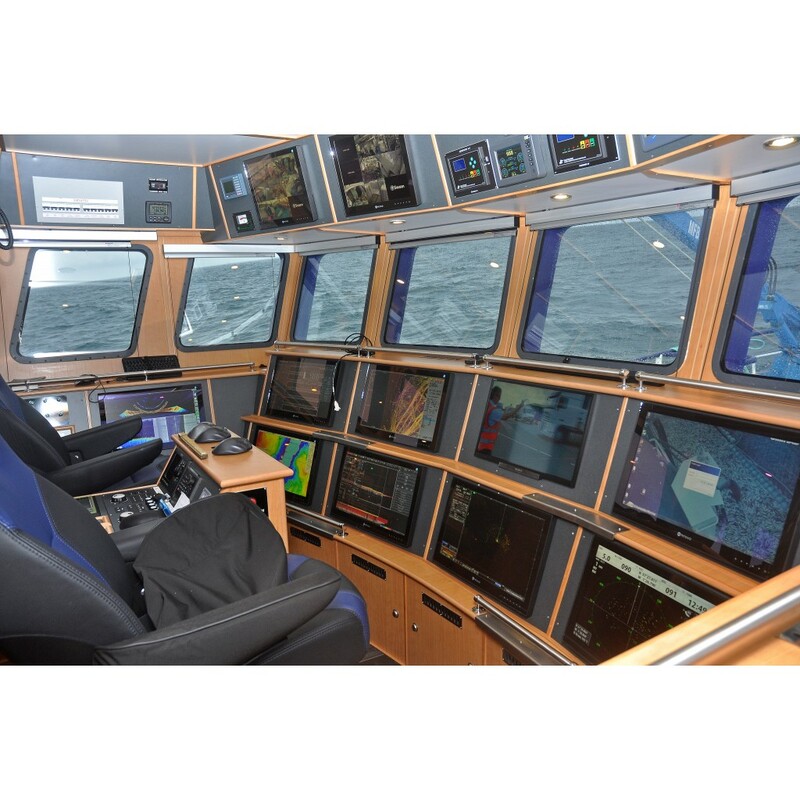 Trawl Monitoring was provided via the Simrad PI50 Twin Rig Trawl Geometry System. The system comes complete with the PX multi-function sensor. 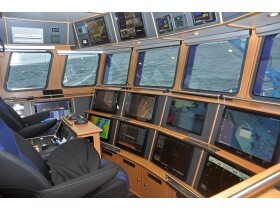 The sensors can be re-programmed onboard using the software and programming lead supplied as standard. Combinations of the PX sensors can provide various measurements including trawl geometry, door spread, headline height or trawl door pitch & roll. The Ben Arkle II is configured for full twin rig geometry system based on three sensors forming an equilateral triangle on each net. If both sides are of equal length then the fishing gear is deemed to be square. The PX sensors installed are designed to be compatible with the new TV80 software package which is due for release in 2015. Our Serivce Manager Ian Butcher is extremely pleased with the installation and performance of the electronics. We thank Mark very much for choosing Echomaster Marine to supply his package and wish him and the crew of Ben Arkle II our sincerest congratulations and good fishing.